Rosh HaShanah begins tonight at sundown in Israel. It is the beginning of their calendar year 5771. Today is the first day of the seventh month of Tishri. 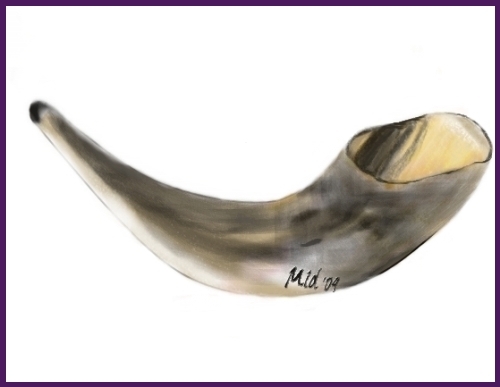 In Leviticus 23:24, God says the first day shall be a Shabbat or Sabbath ushered in with the blowing of trumpets or shofars. Yom Teruah (Day of Blowing). Many Israelis will be blessing each other with the greeting, Shanah Tovah Umetukah– A Good and Sweet Year. It is also the first day of the 10 Days of Awe in which many Jews will examine their hearts and ask for forgiveness for any wrong doings they’ve committed during the past year in preparation for Yom Kippur. Shanah Tovah Umetukah…May the Lord Bless Israel this coming year with prosperity and peace!